Construction Marketing Case Study | Shedding Light on What’s Possible! Are you a remodeler or contractor that has a very difficult time drumming up business for yourself through construction marketing efforts? Do you see these successful, large remodeling companies in your area and wonder how they operate their construction marketing so effectively? Would it be extremely helpful if you had a guiding hand to take you down the path to always knowing how to generate business for yourself? With our efforts at Redmond Growth, our work is a key player in so many business owners’ lives. From aspects like construction marketing to simply helping them figuring out how to save effectively to build their wealth-creating powerhouse, companies like Beck & Co are able to see the fruits of our labor. 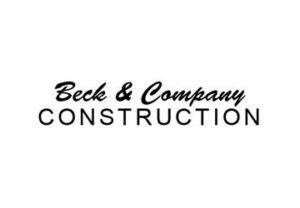 So Beck & Co Construction is actually a commercial and large project construction company. They’ve done projects with restaurants, hotels and other places over in Alabama. They came to us because his digital presence and their construction marketing efforts needed a lot of work plus, he also wanted to get this business to provide him the time freedom and financial freedom he always wanted. So many business owners are like him and live stuck in the efforts of their day-to-day business. As a business owner, you need to effectively plan for each day and have a focus on key action items going forward that will grow the business into a cohesive system. How do you do this? How Do We Help Every Contractor Grow Their Business? Well of course, you have to constantly bring in work for your business. It’s not only about nailing down one big job either! It’s about continually bringing in prospects for work. That way, you can pick and choose who you actually want to work with. There are too many business owners that are hesitant to even do advertising because they won’t be able to the handle the work coming in. Who says you have to even do the work?? With our construction marketing expertise, we look to provide you the insurance of always having work available by beefing up your fanfare and making your brand look awesome. While we build out the most effective avenues for construction marketing & advertising, we also have to consider your diligence to making sure you always profit favorably with each job. Not all projects are good fits and just because this one construction job looks hot, doesn’t mean that it will actually make your wallet fatter. Often times, some of our most effective work steer our clients away from terrible, long-term decisions. As we continually generate the buzz with these contractor marketing services, it’ll be important to orchestrate very clear objectives for your sales process. While you may be a wizard when it comes to closing deals and bringing business to your company, it’s also extremely unhealthy for your business to always be reliant on you for bringing in work and accounts to the business. So while the construction marketing we incorporate in your business will produce results, we also need to tighten up on our steps to close any of our ideal and likely buyers that are interested in utilizing our services. Your well-being and livelihood can oftentimes be sucked up by the daily burning fires that happen in your business. It’s tough and quite disappointing when you feel like you can never get out of the rut of your business. The more and more business you get, the more and more you have to be willing to say no. Author of the famous contractor marketing and business strategy book, Purple Cow, Seth Godin often highlights the fact that you should always be saying no to things that don’t matter and don’t make your time valuable. This is an inevitable fact of growing the business and a result of utilizing our construction marketing efforts. Now this is the pain point for most contractors out there. We hear every single day when we reach out to business owners that their biggest issue is finding quality help for their business. They often shout, “We just can’t keep anybody! This generation is so freakin’ lazy!” We get it! The research shows that most people in the job market will likely be terrible fits for your company. There are still good people out there though. So along with these construction marketing efforts, we also incorporate our best practice hiring system that saves you hours every single week and gives you the opportunity to always look for someone new. Will our construction marketing efforts provide a turnkey system to your work that’s generated in the business? Absolutely. Can we get your business to massively grow and improve over the span of 90 days? Heck yeah. What really sets certain business owners apart from others is their willingness to always have a long-term mindset and look to improve their business by 2% every single week. The level of intensity has to stay at a constant as you focus on every detail of what your business needs to be in order to get you to your ultimate goal. The time freedom and financial you’ve always wanted is now yours! You hired on key, A players into your business and thoroughly reward them for their dedication. You have very clear expectations for your construction marketing conversions and you make sure your staff adheres to them. Through and through, your business is a well-oiled machine and now your focus is set on how many places you need to visit before you die! You Can Grow Your Business Too! After reading through all this, does it make you confident that even you could get yourself and your business to these goals? Are you excited about jumping on the bandwagon of our construction marketing efforts? Well it’s time to work with the team at Redmond Growth to get you going today! Just give us a call at 918.361.3047 to set up your free hour-long business consultation.